Here is, Orissa Balu Speech About The Tamil Language Video. The Download for video is also given below. You can also find important points of Orissa Balu speech in English translation. Many historical facts of Tamil are discussed by Orissa Balu. Some other historical facts are also given in this post. There are many places in the world where Tamil people lived. We can’t say the Tamil Kings Cheran, Cholan and Pandiyan are the only ones who ruled the sea and traveled to a different part of the world. There are oldest Tamil travels to the Australian continent, the African continent, and Mexico which is 40,000 years old. 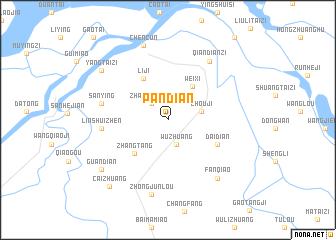 Before 2000 years the Greek was Ruled by Pandian King and five places in China is named after Pandiyan. Impact of Aayi people(Tamil people) in different countries of the world. We have proof that before 17,000,00 years the people lived in TamilNadu (From Attirampakkam excavation). But We speak of only 2000 or 1000 year of Tamil History. Based on the facts of Tamil people’s Turtle Ocean path, there are more than 15,000 Tamil names around the world. There are many places in the world named after Tamil People. Not only the Tamil names but also about 140 cultures of Tamil Peoples is seen such as Aadu veerattal, Seval Veerattal, Kaalai Veeratal(Jallikattu) and Pallankuzhi. All these facts cannot be compressed in the 2000 year History of Tamil, Which means Tamil and Tamil People has a Long History. Tamil People has the ability to overcome problems whatever they face. As Jews History, We have to give equal importance to the History of Tamil. Based on Research facts the Jews history is also a part of Tamil’s. Most of the travelers from the World used wind for moving from one country to another country. But the Tamil people used Water movement and turtle path to move around the world. Nowadays We speak of Seawater Reverse Osmosis, But before 2000 years the Tamil People have converted sea water to drinking while traveling to Mexico. 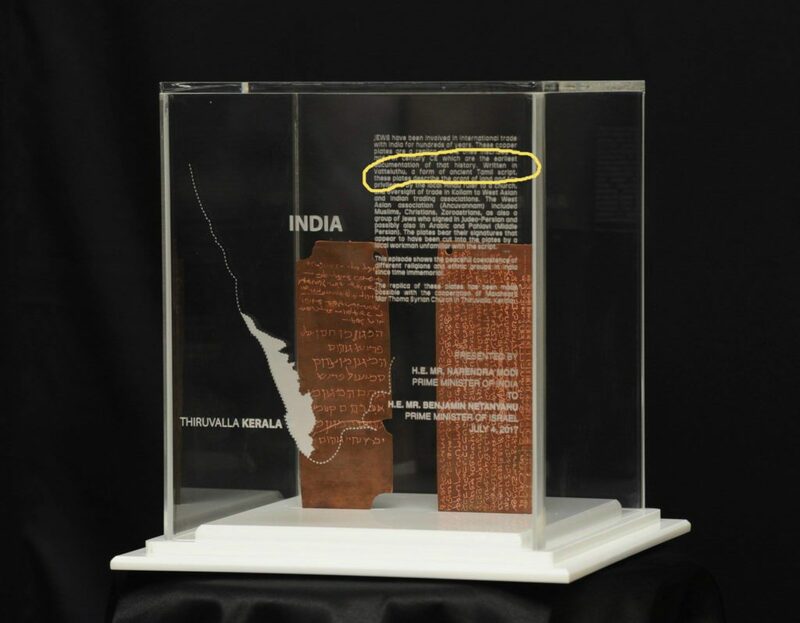 Most of the researcher around the world have researched the Tamil Language because the Tamil people are the one who traveled around the world before 2000 years. Not only the British captured India but also made research about the Tamil Language. Robert Coldwell said the Tamil language has Linked to 12 languages at the Time of 18th Century. But now it has confirmed that the Tamil Language has Link and basis of origin to over 110 languages. More than 200 sea related words originated from the Tamil Language. Catamaran is from a Tamil word “Kattumaram“. Navy is from a Tamil word “Naavaai”. I was living in Orissa for more than 20 years. After living in Orissa only, I have understood Who am I? Showing the Stone Epigraph of Kalinga king Kharvela, states “1300 years united with Tamil community”. After seeing this Epigraph, I understood Who am I? In the Himalayas, there is a place called Agasthiya Muni, which is named after Tamil Siddhar Agasthiyar. Before 2000 years Tamil people have traveled around different countries of the world. We have discovered historical Tamil Artifacts in Red Sea, Egypt, and Australia. 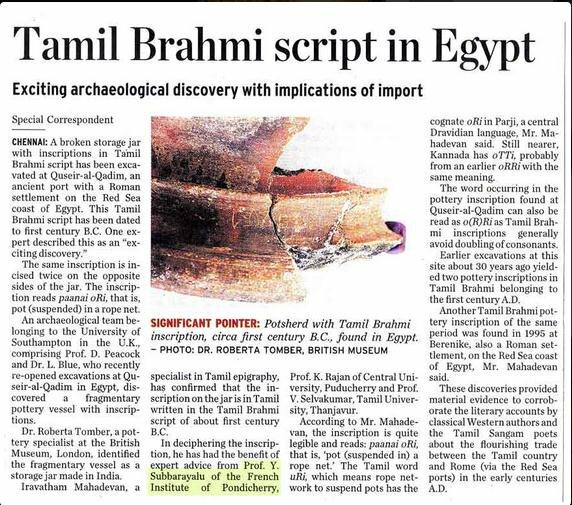 A 40,0000 old historical artifacts discovered in central part of Australia, which has word Anya refers to Tamil word Thaai(தாய்). And after 20,000 years, there is a Tamil word Aayi, Aatha before seashore and Amma near the seashore. On Researching how Anya(Amma) Tamil word referring mother reached Australia before 40,000 years, The words referring Amma(Mother) around the world is originated From Tamil. On the Time of British rule, the Tamil was seen among the Telugu, Marathi, and Kannada. At that Time, some of the Tamil people are a daily wages worker. Actually, the history of Tamil people has to seen joining 35 different departments. Many cities of Tamil has sunk in Sea. On myself, I have seen a sunk Island 140km near Kanyakumari. And also seen a place which is sunk under the sea which is 21 km from Poombukar. 26 km from Pondicherry, 46 deep in the Sea there Wall build by Tamil People which is 6 km meter long under the sea. This is the best proof that world’s first Architects are Tamil People. In Ramanathapuram a place called athiyuthu, An entire city is buried below the ground. All these findings are done by new technology. If people who are going to find new things in history must come to TamilNadu. Because the soil in Salem and Namakkal District is equal to the soil in the moon. Some researches related to the moon are made in Siddhannapoondi, Namakkal. Many facts show Tamil is one of the first originated Culture in World. All over the world, many peoples are researching about the Tamil. Every youth must understand who they are? and Tamil as their Mother tongue in TamilNadu.